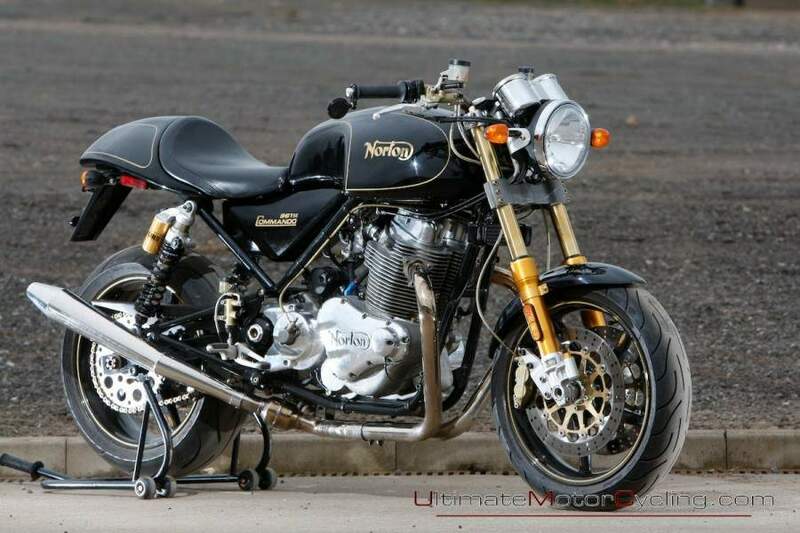 Norton Motorcycles will be distributed in the United States by South Bay Norton in Lomita, Calif., a dealership with over 35 years' experience in motorcycling. So, first off, how British is the British Norton? Well, quite. The oil-carrying frames are made in Coventry (near the former heart of the British bike industry). Engine cases are cast by Grainger and Worrall in Telford (the self-proclaimed “Birthplace of Industry”). Engine components, exhaust and engine assembly are all made/carried out in England. 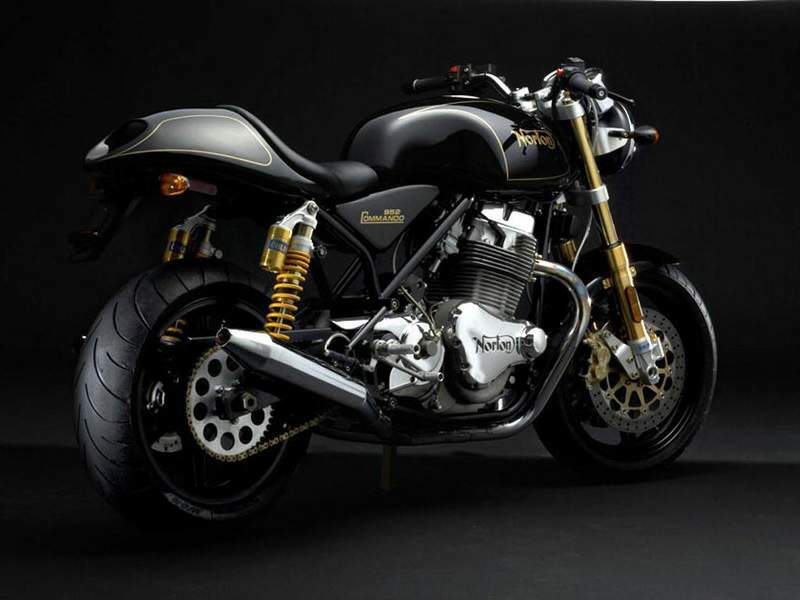 The forthcoming 961 Café Racer and Sport models will have wheels made in the UK. Suspension is Swedish, brakes are Italian and the plastic bodywork is rotationally molded in Spain. The bike is assembled “by British hands” on the grounds of the Donington Park race circuit, using British-made spanners. Can you tell that the company’s owner, Stuart Garner, is taking this British thing seriously? At the heart of the machine is an engine that does a good job of looking like a relic from the era of free love and bellbottoms, but it is produced by Menard Competition Technologies, a motorsport company in Britain’s Formula One belt—the region, near Oxford, where dozens of firms are located to service the F-1 car industry (exactly why Kenny Roberts based his now-defunct GP team there some years ago). So, while it is classic in form and retains some classic features, execution is quite modern. The 88.0 x 79.0mm parallel-Twin displaces 961cc and uses pushrod valve actuation with hydraulic lifters. Fuel injection and catalyst-equipped exhausts help it meet Euro 3 emissions requirements. It’s also designed to pass even more stringent emissions regulations on the way. Hey, it’s even got its gearshift lever on the left. The 270-degree crankshaft gives the bike requisite character, although it’s more Ducati than old-time 360-degree-crank Norton. A Twin, however modern it is, isn’t supposed to be glass-smooth or buzzy, and the Norton isn’t either of those. The counterbalancer quells the strongest of the vibes and leaves the rest for you. Output is a claimed 79 hp at 6500 rpm, and it feels like it on the road. Claimed torque is an equally welcome 66.4 ft.-lb. at 5200 rpm. Healthy enough figures for an air-cooled Twin. At 70 mph, the motor is spinning at 4000 rpm in the top cog of the five-speed gearbox. Roll on another 1000 rpm and you’re doing 90. The testbike is also the firm’s development mule, so it was fitted with aftermarket pipes made by a British company called Motad. They’re not as pretty as the reverse-cone megas that come standard, but these 2-into-1-into-2 pipes sound fantastic. And while the engine is right on the money in comparison with similar-displacement, modern, air-cooled Twins, the handling of the SE is shocking. Not bad. Shocking, as in unexpected. The appearance of the new Commando is a mixture of British history, rose-tinted familiarity and trusted modern blue-chip brands. But grab it by the bars and wring its neck and any nostalgia trip is over. The bike twitches and shimmies like a stripped-down streetfighter. The bars kick as the front end goes light on the throttle. Perhaps it’s the superlight South African-made BST carbon-fiber wheels (non-SE models will be equipped with alloy-rimmed wire-spoke wheels) that help it feel so frisky. The new Commando doesn’t go AWOL but gives the impression it’s up for a fight or fun, whichever comes its way. The clues are in the spec sheet: 24.5 degrees of rake, 3.9 inches of trail and a 55.9-inch wheelbase. That’s shorter than a Ducati 1098, with the same rake and just a whisker more trail. This thing is set up like a sportbike. It isn’t a dumbed-down heritage bike for balding fellas who remember when “men were men and bikes were bikes.” It’s a backroad scratcher. When the road becomes bumpier, the fully adjustable Öhlins inverted fork and twin-shock rear suspension show themselves to be on the firm side. The brakes are fiercely powerful, thanks to radial Brembos biting large, 320mm discs. 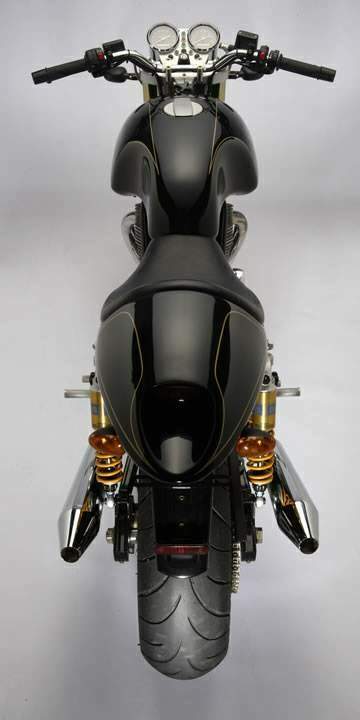 Get the Norton on a flowing road where you can surf the 961’s torque curve and it’s a rapid bike without being hairball. It’s exciting, involving. Of course, plenty of Com-mandos will be parked next to a Jaguar or Bentley, especially the 200 limited-edition SE models, and these are likely to get used gently. Surprisingly, the bike is fine with that because fueling is glitch-free. The 961 rolls through villages at little more than idle, as well-behaved as the local vicar. Negatives? The testbike was fitted with a prototype gear linkage, and I struggled to find neutral a few times. 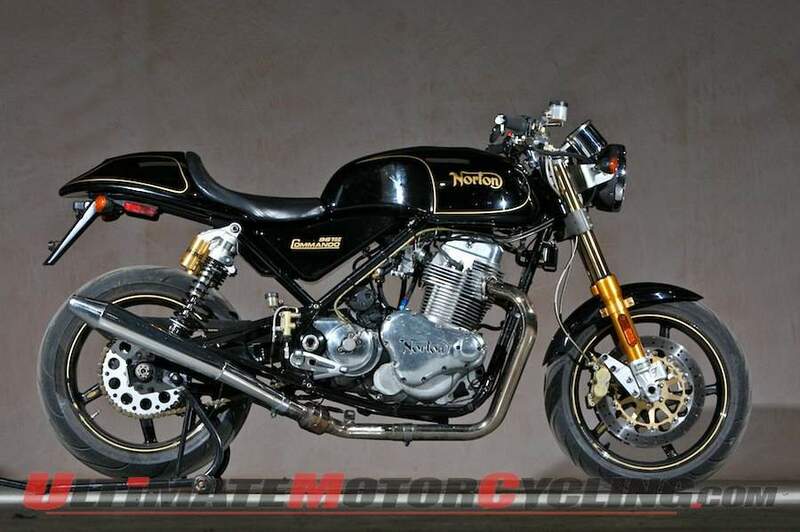 The 961 would make a good pillion hauler, but there’s no option for that, though Norton is tooling up soon. The seat that is there isn’t likely to be your best friend at the end of a 300-mile day. The price? Not cheap at the $19,499 Norton quotes for the carbon-wheeled SE, although the spec is high and the components are very good quality. The lower-spec Sport and Café Racer models that will follow are planned to be about 25 percent cheaper. The goal is to have bikes in the U.S. “this year.” The Federal approval process is under way for a 49-state model, with California-legal versions to come later. Even if the Commando isn’t your kind of bike, there can be few enthusiasts in the world who don’t want to see a new motorcycle company making a go of it. And by the sound of it, Norton has a great deal of industry support. None of that would mean a thing if the first model out of the factory promised more than it delivered. Happily for everyone involved, the opposite is true.